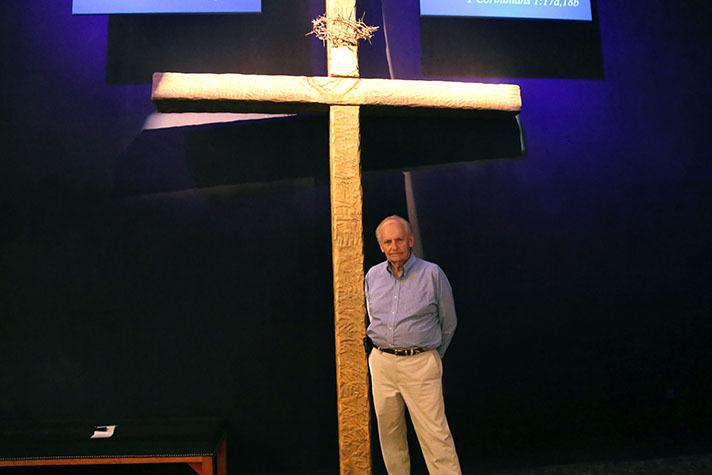 Bob Barks stands by a cross that’s a part of the Billy Graham Library’s Journey of Faith tour. He volunteers every week in the Library’s prayer room. 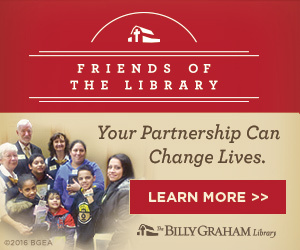 There are hundreds of volunteers and stories within the four walls of the Billy Graham Library. One such story belongs to Bob Barks, who first learned about God’s love when he attended a Billy Graham Crusade. Barks was a street kid in Louisville, Kentucky. 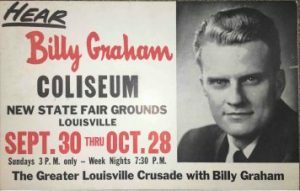 Billy Graham’s 1956 Louisville Crusade had been going on for a while when Barks saw the crowd. He’d never heard of Billy Graham but wanted to check out the new fairgrounds, so he wandered in. Graham’s sermon was over, he walked down front with many others and surrendered his life to Jesus. A volunteer gave him a booklet as well. “I took that book and I read it. And I kept reading it and reading and reading it. … I just kept reading it ‘til the sun came up and then all of a sudden it was morning,” Barks said. His new faith took root and changed his path. Barks became involved with youth ministry and missions, spending part of his life traveling to various countries sharing the Gospel and telling people God loves them. 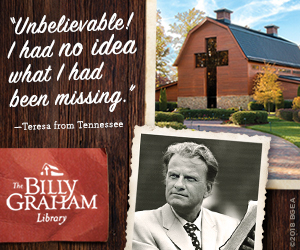 In 2007, the Billy Graham Library opened and Barks, along with his wife, saw an opportunity. The couple began serving the Lord in a new way. Recently at the Billy Graham Library, Barks saw an old poster advertising the evangelist’s 1956 Louisville Crusade and wanted a picture of it. He couldn’t get a photo then, and when he tried the next weekend, the poster was gone. Barks asked around where it was but no one knew. A few weeks later, he was in the prayer room when a team member walked up with the poster in hand. Barks was blown away by his fellow volunteer’s kindness in searching for it. He took a picture, got it enlarged and it now hangs in his office as a reminder of the night he received Christ. A volunteer for 11 years now, Barks believes God called him to the Library to share His love with others. His hope and prayer is that more young people check out the Library and learn about their identity in Christ. 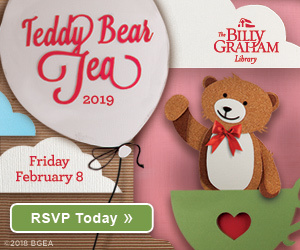 When they come, he’ll tell them what Billy Graham told him so many years ago: “God loves you and He knows you, He knows everything about you. 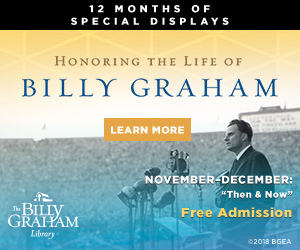 Read more stories from the Billy Graham Library here. I am going to try to copy the picture of Bob Barks. I know him and his wife for over 25 years they are wonderful people. Bob is always looking for ways to get the word out and bring people to the Lord. What a wonderful , encouraging story. God is good ! I visited the Billy Graham Library two years ago. It was an amazing experience. I met one of the volunteers there and formed a friendship. We still exchange letters and even talk on the phone. I highly recommend visiting the Library.